Smart Ring Project This wearable device is a hypothetical product that I invented over working on my thesis project. The project still is in progress and I am developing the scope of experiences that the user might have with this product. Smart Ring project was initiated as part of my thesis design investigation. Initially, the objective of this investigation was designing user experiences for a smart wearable device that helps city activists to participate in the process of place branding, and more specifically in the process of city management. However, after finishing my thesis project I noticed that product has many offerings and I can keep working on it in broader scope. So this is an in progress project and I will update the page as I move forward in its design process. The user selects the mark up mode. After investigating the smart ring, I made three physical prototypes to simulate some of experiences that it it could afford when considering the system. There were some initial experiences that I listed based on the needs, activities, and behaviors of the persona. In addition, my study of relevant cases helped identifying some hypothetical features for ring. Eventually, a list of actions and behaviors were selected based on Nina’s story in her particular scenario. 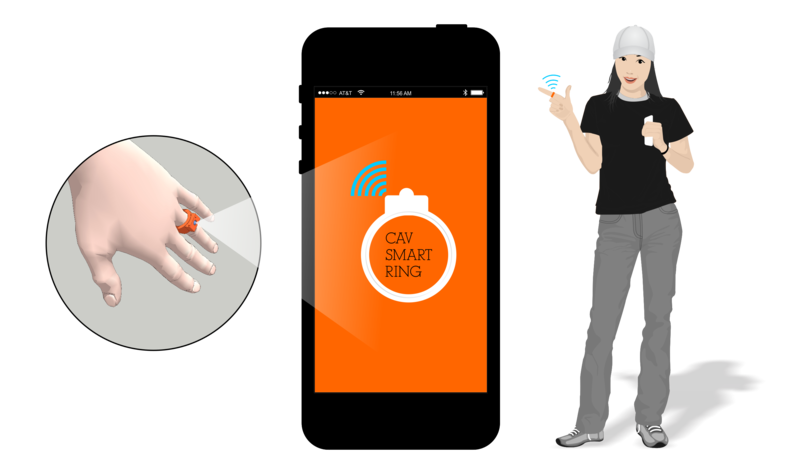 Expansion of icon-based interface of the smart ring that shows how the user interact with the ring when notices an issue. User may mark the issue, record a memo, and take a picture. Information such as location or time will be recorded automatically. Eventually, the user will review the recorded issues through another interface and after adding more information she send the report to the city services. The user interface design in the next page shows how the user can add more information through a tablet application . The user marks up the issue by his smart ring. The user amy identify several issues such as a vandalism case, potholes, and broken signs and report them to city servives. 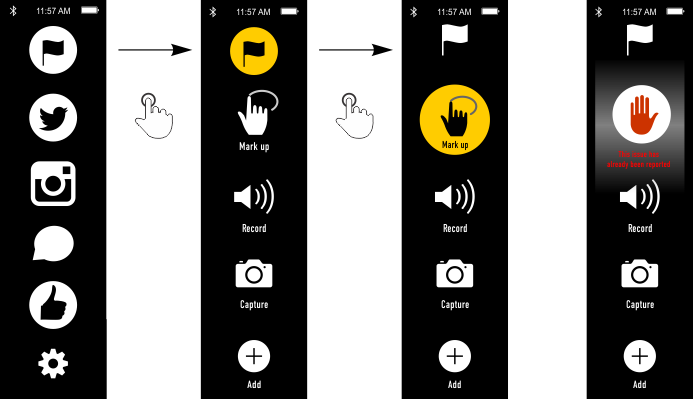 User may also record a voice memo. There will be additional application for tablet, smart-phone or desktop computers through which user may write a description, add further information, and report the issue to city service system. The city activist may want to add further information in the form of a brief description for the issues she identified and recorded in the city. However, reporting issues more detail in the form of a brief description. 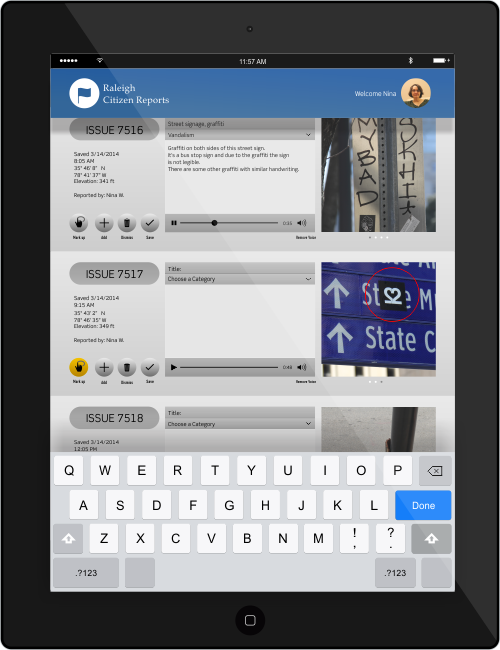 This interface helps the city activist to complete her report of issues and send these to city service. 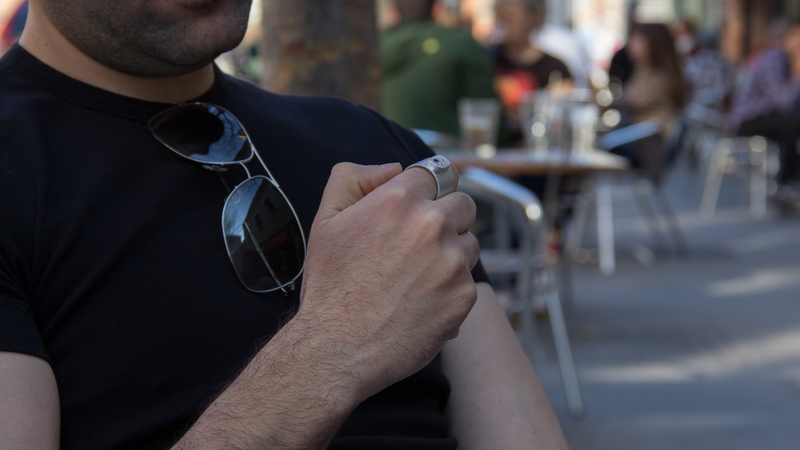 The Smart Ring is connected to a smart-phone app. The user reacts to events and activities or responds to other citizens by hand gestures. 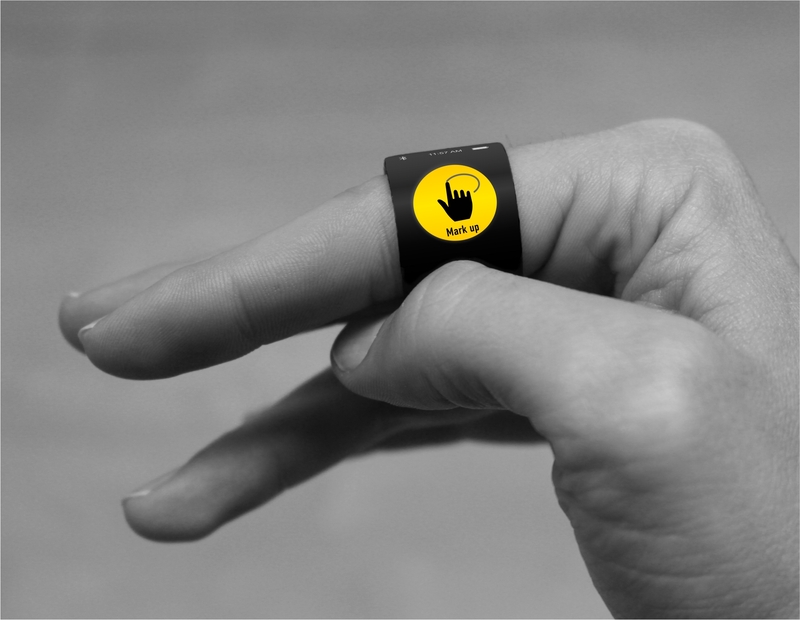 The smart ring will convert gestures to icons and the user may reflect them in her/his social media. 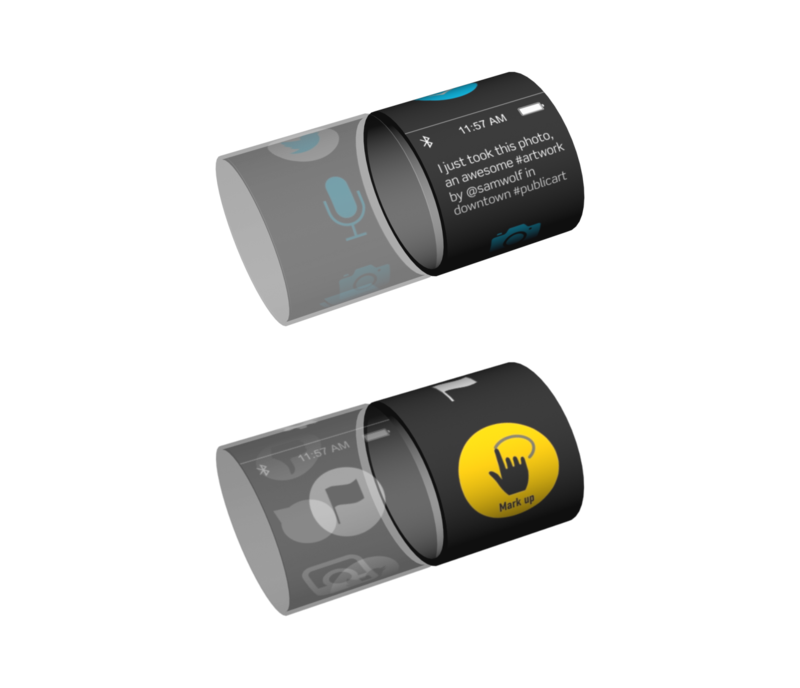 The user may interact with the smart ring when driving, the ring may help user to find free parking or get direction. User used the ring for getting information in different situations such as directions, searching for free parking, and sending information to other online platforms. 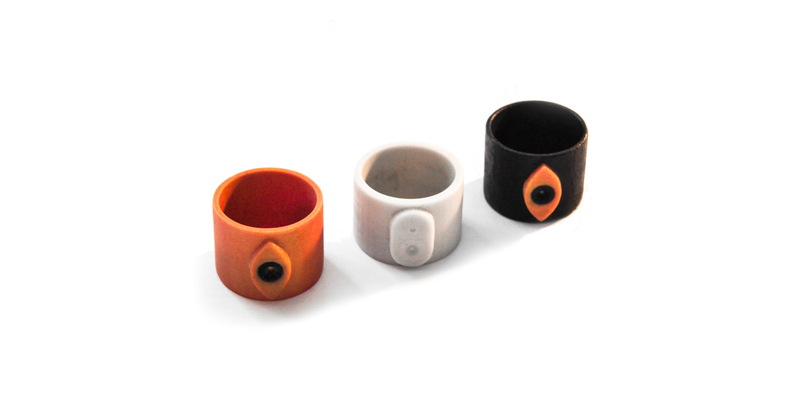 The smart ring communicates with different element of the city. For example, it may help the user find free parking or get information regarding buildings. Besides all of these functions, the ring could be a symbol for city activist. In fact, by this symbol other citizens can easily recognize them. 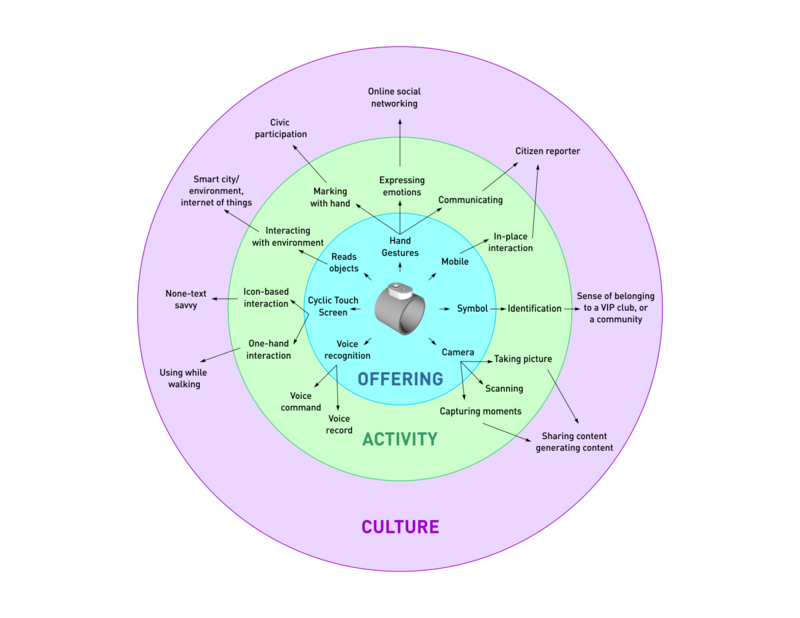 Offering-Activity-Culture map for smart ring. The Offering-Activity-Culture Map is a design research method that I used in this design investigation to expand my thinking from an innovative product to activities and a larger cultural context (Kumar, 2013) . 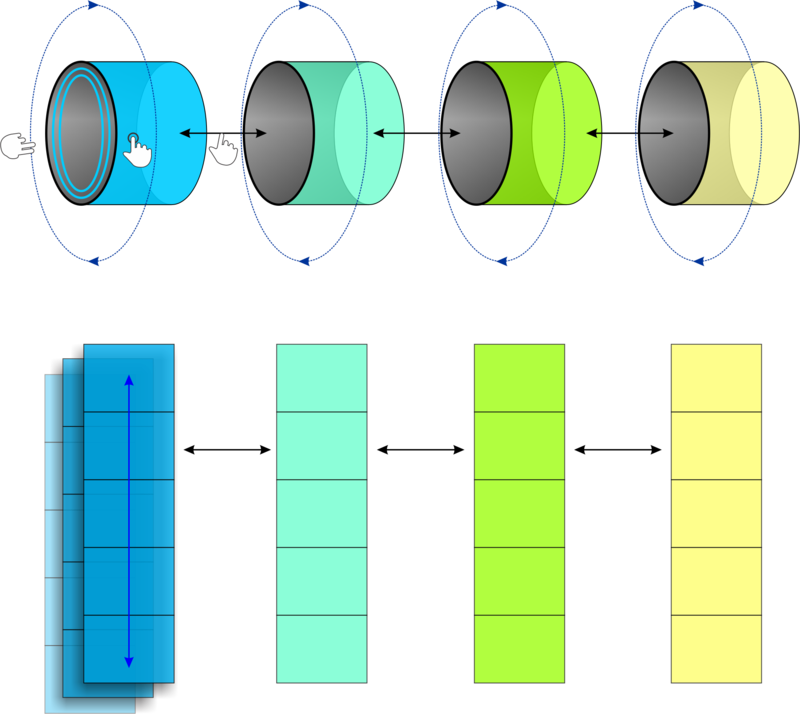 This method uses three lenses to look at an innovative product, including the features and functions (offering), the experience and actions that users may have with the product (activity), and, lastly, the general contextual implications that the product may have (culture). This helps in identifying the smart ring as a product in a larger context (e.g. communication system) and studying its influence on other elements, systems, and a user’s behavior.